The Younger quickly sketched the image on a napkin with bold, confident strokes, eagerly outlining the thought he had just blurted out to the Elder. The Elder watched him over the rims of his reading glasses, a steaming cup of coffee — “black, the way God drinks it”, as he liked to say — cupped between his hands. “There!” announced the Younger, finishing his impromptu sketch with a flourish; blue ink lines standing out clearly against the muted tones of recycled paper. He rotated the picture so that the Elder could more easily see it, as he continued with the thought that had inspired his brief artistic foray. 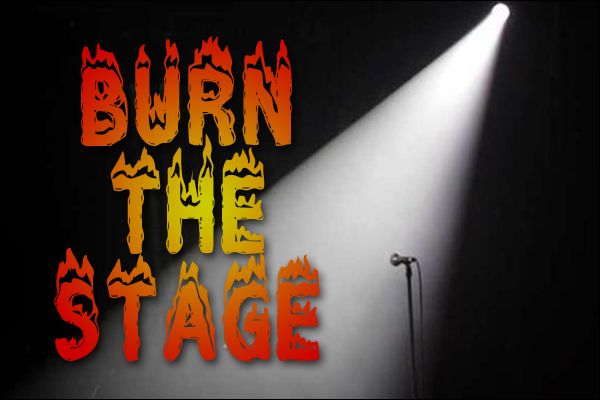 “Strong enough to ‘burn the stage’?” the Younger teased in return. The Barista continued her energetic polishing of the counter, but the Elder couldn’t help but wonder if her look of concentration was hiding her reaction, as she had clearly overheard the Younger’s last comment. “Hear, hear”, the Younger raised his mug in tribute, and finished off the remainder of his americano. The Barista, for her part, busied herself with her own routines behind the espresso counter.